concise-but-superb score has its point. 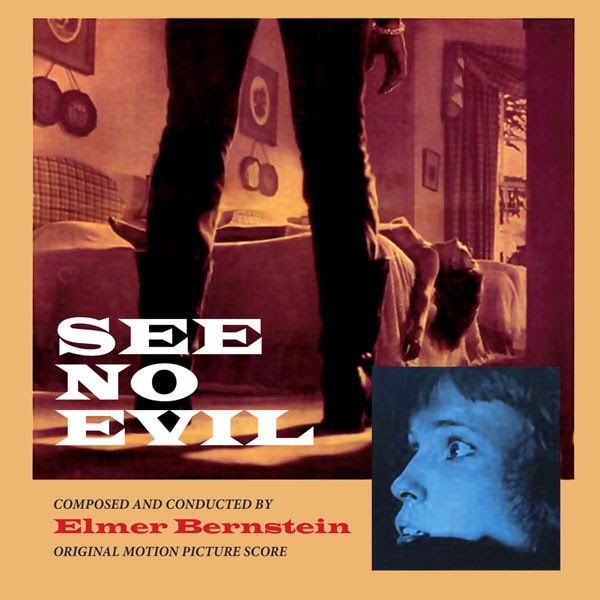 For this premiere release of Elmer Bernstein’s complete soundtrack (the third and final score commissioned for the film), Intrada fortunately was able to locate the two-track stereo session masters, recorded and mixed by Richard Lewzey at Cine-Tele Sound Studios (CTS) in London in July 1971. For decades these tapes appeared to have been lost but, in fact, they survived in full stereo and in beautiful condition, with every cue present—including Bernstein’s three brief original source music cues. In the film, Sarah (Mia Farrow), a young woman recently blinded in a horse-riding accident, is adjusting to her new circumstances under the loving care of her aunt, uncle and cousin. One morning she wakes and, thinking everyone else is still asleep, goes to the kitchen to make coffee. She has no idea that her cousin lies dead in the next bed, that her uncle’s bloody corpse lies in the bathtub and that her aunt’s dead eyes are staring at her from the living room. Nor does she realize that the murderer’s safety will soon hinge on one more death: hers. SEE ME, HEAR ME... CLICK ME!